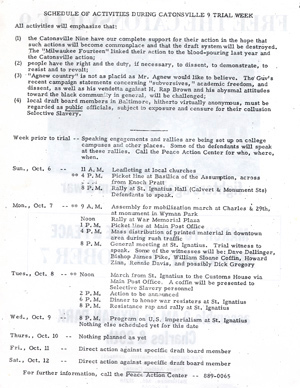 The leaflet was distributed during antiwar demonstrations on behalf of the Catonsville Nine in Baltimore, in October 1968. The action was organized by Baltimore Defense Committee. such actions will become commonplace and that the draft system will be destroyed.